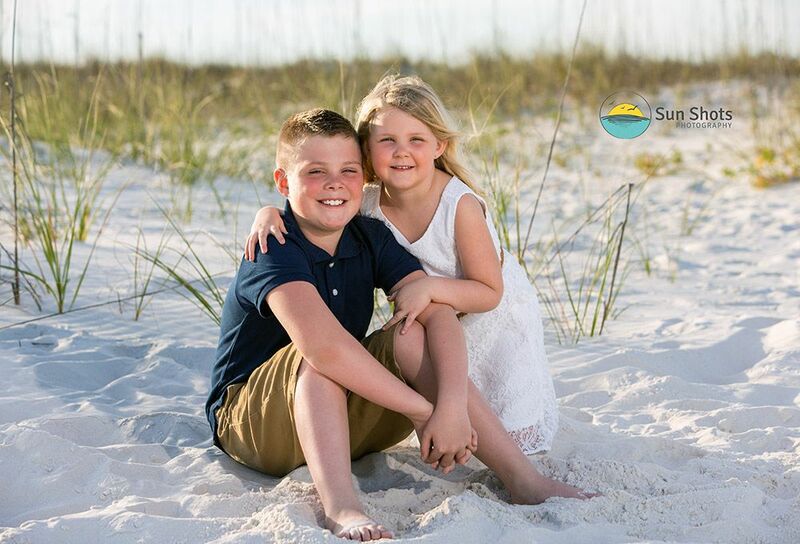 One of the best things about being an Orange Beach photographer is that we get to meet many awesome families that are on vacation and enjoying some much-needed family beach time. With the hustle and bustle of everyday modern life, we need such family beach breaks to re-center ourselves and create everlasting family bonds. Family vacations create memories and we are so lucky to share such moments just like like this with our clients and capture them on film. We feel this preservation is necessary and any extra effort on our part to enhance that moment is worth every ounce of effort. We take our craft extremely seriously and the rewards we capture truly become family heirlooms! This makes my heart warm, and we love sharing our art with families just like yours. Take for instance our group from last night's sunset beach photography session in Orange Beach. These two were having so much fun on Spring Break we didn't even have to ask them to smile. I mean they were ear to ear the whole session, and so were we. Thank you for sharing a session with us on the beach last night, we are so happy to be able to share our art with you. Look forward to seeing you again on your next trip! If you are planning a trip to the beach this summer, we would love to speak with you about your very own family beach photography session. Slots are extremely limited and we are by appointment only, but we do have a few sessions still open, so please give us a call today. Click here: Orange Beach Photographer for all our contact information. We look forward to speaking with you and seeing you on the beach really soon when you are enjoying some much-needed family beach time! Just can't wait to see what memories we will capture for you.